The load cells are sensors working on a principle of a transducer, taking force (weight) as an input and converting the measurement into an analog or digital electrical output. Rhopoint Components offers a wide range of load cells by the industry leading manufacturer Lord Sensing Stellar Technology, suitable for all industries and coping with the most demanding environments. Lord load cells come in variety of shapes and forms and offer range of load ranges, accuracies, operating temperature ranges, as well as options of hermetically sealed or submersible load cells, vibration tolerant and many others. Because of their high quality and reliability, they are the brand of choice for critical industries including millitary and defence, aerospace, oil and gas or medical, but they are a popular choice for automotive, pharmaceutical, power generation and alternative energy applications, too. Can't find what you're looking for? Contact us, most Lord Sensing Stellar Technology load cells can be customised to meet all your needs. 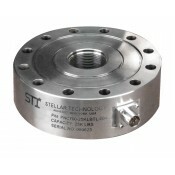 The CNR950 rugged, compact and high capacity canister load cell from Stellar Technology offers maximum load ranges from 2k lbs to 2000k lbs with a high accuracy of ±0.25% FSO, ±0.15% FSO (linearity), ±0.15% FSO (hysteresis) and ±0.05% FSO (repeatability). 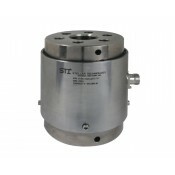 The CNR950 series from Stellar Technology is designed specifically for force applications and constructed of welded stainless steel for the most demanding application environments. 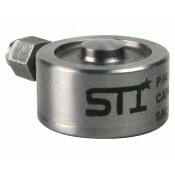 This device also features shock and vibration protection and each unit is shipped with a 5 point calibration. The CNR960 high capacity / high accuracy tension and compression canister load cell from Stellar Technology offers maximum load ranges from 25k lbs to 2000k lbs with a high static accuracy of ±0.2% FSO (linearity), ±0.2% FSO (hysteresis) and ±0.05% FSO (repeatability). The CNR960 series from Stellar Technology is designed specifically for high capacity and high accuracy test and measurement applications with a high fatigue life greater than 100 million fully reversed cycles at FSO and high immunity to off-axis loading. 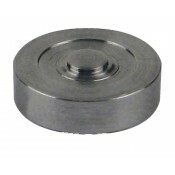 This device is uniquely engineered to have a minimum deflection resulting in fast frequency response and constructed of electroless nickel plated carbon steel. The LDP990 multipurpose clevis pin load cell from Stellar Technology offers maximum load ranges from 3k lbs to 200k lbs with an accuracy of ±0.2% FSO typical (repeatability). The LDP990 series from Stellar Technology is designed specifically for applications where clevis pins, shear pins, shear axles or pulley shafts are carrying the load, these load pins are ideal for real time force monitoring of loads carried by these types of devices. Constructed of all welded stainless steel and are hermetically sealed to meet the most severe operating conditions, they are also available with internal amplifiers providing high level analog and digital outputs. The PNC700 general purpose, high accuracy pancake load cell from Stellar Technology, offers maximum load ranges from 100lbs to 100k lbs with an accuracy of ±0.05% FSO BFSL. These force sensors incorporate a threaded-through centre hole with dual diaphragms and uniquely configured mounting holes, these design features result in improved accuracy and increased rigidity thus reducing both the effects if off-centre loading and side loading. 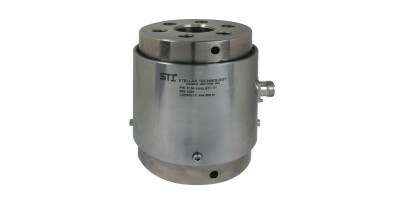 The PNC700 series from Stellar Technology are constructed of all welded stainless steel for very demanding application environments, with bolt-on or welded-on stainless steel electrical connectors. The PNC710 general purpose, high accuracy pancake load cell from Stellar Technology, offers maximum load ranges from 100lbs to 200k lbs with an accuracy of ±0.1% FSO (linearity) and hysteresis of 0.08% FSO. These force sensors incorporate a threaded-through centre hole with dual diaphragms and uniquely configured mounting holes, these design features result in improved accuracy and increased rigidity thus reducing both the effects if off-centre loading and side loading. 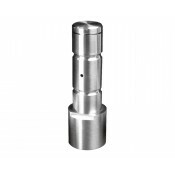 The PNC710 series from Stellar Technology are constructed of all welded stainless steel for very demanding application environments, with bolt-on or welded-on stainless steel electrical connectors. The PNC720 general purpose compression pancake load cell from Stellar Technology, offers maximum load ranges from 100lbs to 120k lbs with an accuracy of ±0.1% FSO (linearity) and hysteresis of 0.08% FSO. These load cells incorporate an integral spherical load button with welded dual diaphragms for improved accuracy and rigidity. 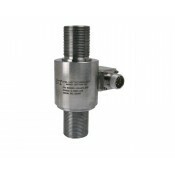 The PNC720 series from Stellar Technology are constructed of all welded stainless steel for very demanding application environments, with bolt-on or welded-on stainless steel electrical connectors as standard. The PNC770 low profile, lightweight and precision pancake load cell series from Stellar Technology, offers maximum load ranges of 25lbs, 50lbs, 100lbs, 200lbs and 300lbs with an accuracy of ±0.05% FSO BFSL. The PNC770 series from Stella Technology are constructed of light weight aircraft aluminium for weight limited applications and incorporate an integral base for a more compact design with an integral cable.